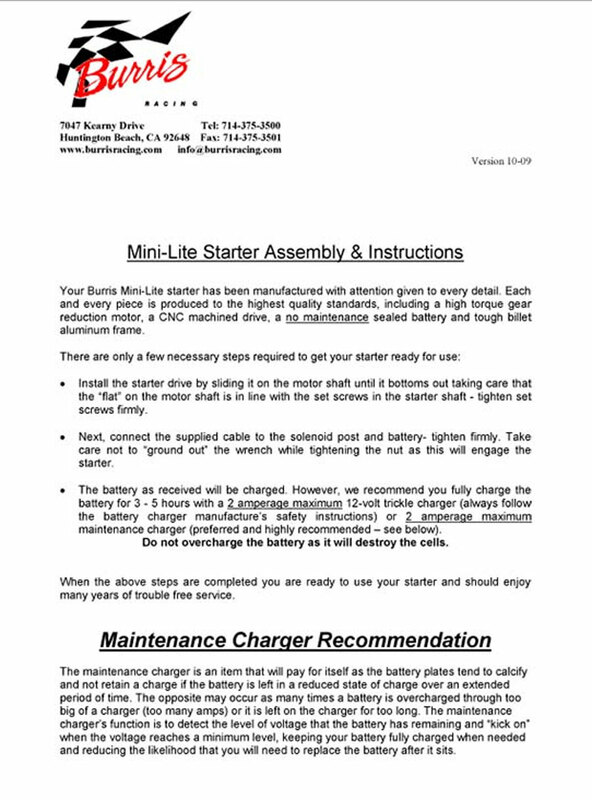 The Burris Mini-Lite self-contained starter packs a lot of power into a small package. The anodized billet aluminum frame houses the high torque gear reduction motor and the sealed lead acid battery into a unit that weighs less than 18 lbs making it nearly 40% lighter than the competitors traditional self contained unit. 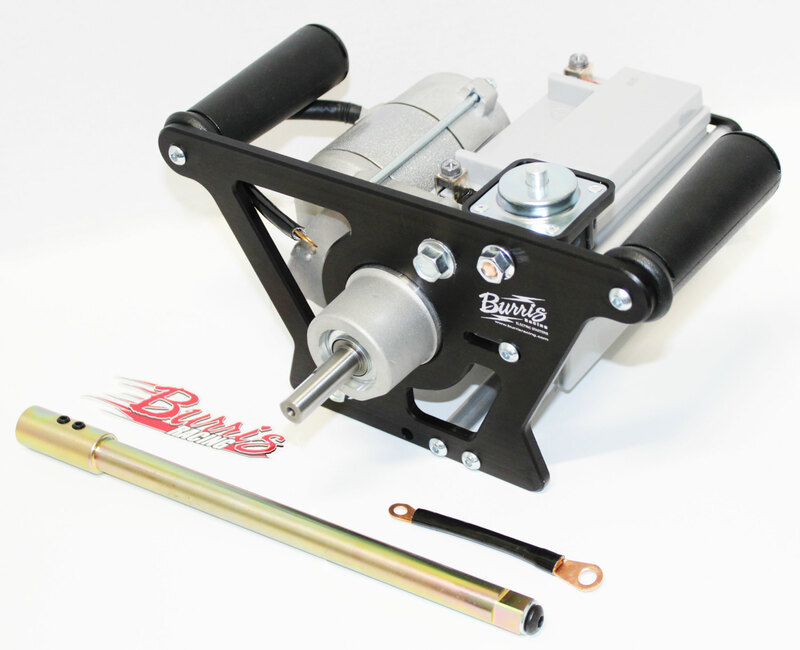 The Burris Mini-Lite has been used successfully on Yamaha, Briggs, Tecumseh, KPV and HPV engines. Do your back a favor and step up to the best Kart starter on the market!